The Sheriff’s Criminal Justice Training Center offers a wide range of in-service training for all Ventura County Sheriff’s Department and tri-county law enforcement personnel. In addition, the Academy also provides specialized instruction for peace officer trainees who are called Recruits during a 22-week California’s Commission of Peace Officer Standards and Training (POST) accredited program. Recruits are provided with the highest quality training while preparing for a rewarding career in law enforcement. While learning knowledge and skills to succeed in the profession, Recruits are challenged mentally, morally, emotionally and physically. In return, the Academy expects Recruits to give maximum effort in the program. To accomplish this goal, a basic level of physical fitness must be met prior entering the Academy, not only to ensure success but also to prevent injury. Although the physical fitness training program at the Academy is beneficial, it will not overcome years of physical inactivity. Therefore, prospective Recruits are encouraged to begin a physical fitness program prior to entering the Academy to help prepare for the physical challenges they will face, as well as preparation for “lifetime fitness”. Peace Officers often encounter situations in which physical demands are placed upon them. Many of these instances necessitate a high level of overall physical fitness for a successful outcome. Physical fitness can be the difference not only between success and failure, but also between life and death. Improvement in physical fitness is achievable by anyone, despite body type, family health history and past habits. 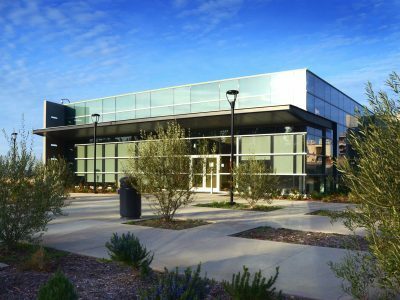 The Ventura County Criminal Justice Training Center focuses on three primary elements of a physical fitness-training program: aerobic activity, muscular strength and endurance, and flexibility. Aerobic activities, such as running and swimming, help the heart, lungs and blood vessels become more efficient at delivering to the muscles what they need to function – oxygen and glucose. These activities include exercises such as push-ups, abdominal exercises, or weight training. Muscular strength and endurance activities help your muscles become stronger, giving them both the strength and ability to work repeatedly without undue fatigue. Flexibility or stretching exercises are necessary to prevent injury to the muscles and joints and to allow the muscles to work efficiently through a full range of motion. Before starting any regular physical fitness program, a medical doctor should be consulted. An effective way to prevent injuries, sprains, strains, and soreness resulting from exercise is to stretch before exercise begins and to cool down after exercise concludes. A warm-up prior to exercise is essential to prepare the muscles and heart for the workout and to help decrease the chance of injury. An example would be 3 to 5 minutes of walking, jogging, or any non-vigorous, low intensity activity. The purpose of the warm-up is to increase blood flow and increase the core temperature of the body. Effective stretching of the body’s major muscle groups should be conducted after the warm-up. Do not bounce or stretch to the point of pain. Stretching will elongate muscles and tissues preparing them to work through their full range of motion during conditioning and resistance training. Stretching should be slow and controlled holding each stretch for a prescribed time. Aerobic activity and muscular strength and endurance exercises focus on keeping your heart rate elevated between 60 to 80 percent of your maximum heart rate. This constitutes the main component of the exercise session. A simple way to calculate your maximum heart rate is 220 minus your age. A cool down consists of a continuation of activity for 3 to 5 minutes at a decreased intensity.